Here it is . . . everything you need to know about the Outer Banks of North Carolina. Everything. It’s what the Outer Banks locals know, written by locals. We update this information annually, so it's always current and inclusive. What you read here is more comprehensive than any other information you'll find on the Outer Banks, anywhere. We include writeups on every visitor-oriented business found here – every single one – so you can feel confident that you have the complete scoop. When you're searching for Outer Banks hotels, you can make a better choice about what fits your personality and budget when you know you're comparing them all. We include the big Outer Banks hotels, quaint motor lodges, inns, bed and breakfasts and campgrounds. Once you know where you want to stay, you can decide which Outer Banks restaurants you'll want to try out while you're here. We have such a vast variety on these islands now, and you can choose the gamut from hamburger shack to five-star gourmet. Of course, our calling card is the fresh bounty of Outer Banks seafood from our own waters, but if you're more of a meat eater – or a vegan – you'll have more options than you can ever patronize in a single visit! Our Outer Banks attractions bring people here from far and wide. Is there any other destination that can offer lighthouses, wild horses, the longest-running outdoor drama, monuments to historic first events, gardens, aquariums, museums and more, all in addition to Mother Nature's amazing offerings of giant sand dunes, the ocean and the sound? That's the Outer Banks, like no other place on earth. We know you come here to have a great time too! The plethora of Outer Banks things to do is limited only by your energy and time to do them! Water sports top most people's list of chosen activities, but you can also take dolphin or horse tours, star gaze, go to a movie on a rainy day, attend an arts and crafts class, relax at a spa, bike or skate, run in a race (we have tons of them here), walk in an Outer Banks maritime forest, go birding . . . shall we continue? Wait, we didn't mention fishing! Anglers have called the Outer Banks their favored home for centuries — from the shoreline, in the sound, out on the Gulf Stream for charter fishing or dangling a line from a dock or pier. Of course, some will say that Outer Banks shopping is their recreation of choice, and if so they can spend days honing their skills. Whether you wander around Duck, Manteo or Ocracoke on foot or use our info to hop from shop to shop by car in other Outer Banks towns, you can be at it from sunup to sundown if you want to be. Over the past decade, the Outer Banks has become a hugely popular wedding destination. If you're planning to marry your sweetie any time soon, our information on Outer Banks weddings will be a huge help. Maybe you're years past a wedding and are more of the age to look for a vacation home on the Outer Banks? Our Outer Banks real estate section will introduce you to all the companies to choose from to start your search. As you can tell by now, there's so much to see and do on the Outer Banks that you'll definitely want to stay for at least a week. Many visitors have learned that coming to the Outer Banks during the off-seasons is also a great choice. For an extended stay, check out Outer Banks vacation rentals. These companies represent houses from Corolla to Ocracoke, mansions to old-fashioned cottages. It's like we said, you've found the site to tell you everything about the Outer Banks — its shops, activities, accommodations, attractions and more. But there's one more thing: To find out what's happening on the Outer Banks on a daily (and nightly!) basis, jump on over to OuterBanksThisWeek.com. You'll discover what the daily specials are at local restaurants, the current sales events at shops, today's fishing reports, the bands playing at local bars, the daytime activities and more. There are money-saving coupons there too! Outer Banks islands encompass six different areas that are quite diverse, so vacationing here is like getting six Outer Banks vacations in one. Corolla, Duck, the central beach towns of Kitty Hawk, Kill Devil Hills and Nags Head, Hatteras Island, Ocracoke Island and Roanoke Island each have distinct characters and offerings for visitors. You’ll discover 125 miles of clean Atlantic Ocean beach, much of it the undeveloped beaches of the Cape Hatteras National Seashore. You’ll romp through marshes, wildlife refuges, dense maritime forests and the largest open sand dune on the East Coast. You’ll be amazed by more than 400 years of Outer Banks history . . . and learn about the 16th-century English colonization efforts, a Freedman’s Colony established on Roanoke Island during the Civil War, the wreck of the USS Monitor, the story of Wilbur and Orville Wright and the monument to their achievements in flight in Kill Devil Hills, shipwrecks in the Graveyard of the Atlantic and much more. You’ll climb lighthouses such as the world-famous Cape Hatteras Lighthouse, Bodie Island Lighthouse or Currituck Beach Lighthouse, visit an old life-saving station or a 1925 mansion and step aboard a 16th-century sailing ship. You’ll possibly get to know the Outer Banks area better than some locals if you follow all the information we’re giving you in this site. You’ll definitely get in, on or around the water. 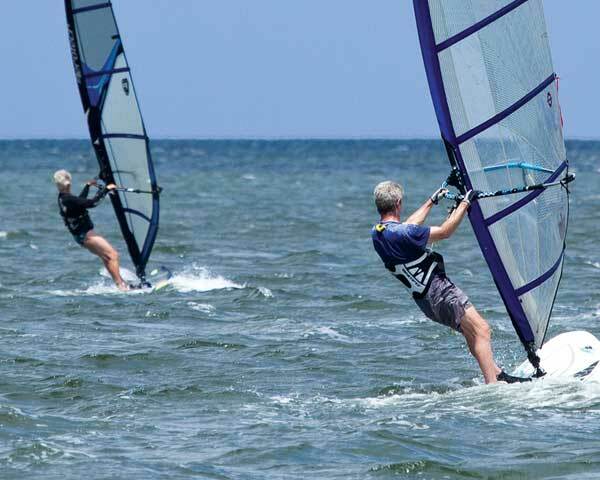 Try your hand at Outer Banks fishing, surfing, windsurfing, kite boarding, kayaking, canoeing, swimming, Jet Skiing, parasailing, boating . . . you name it. Or, if you want to stay dry, try air tours, golfing, tennis, beachcombing, birding, jogging, walking, off-road driving, wild horse watching safaris, outdoor dramas and arts performances, miniature golf and go-carts. We give you Outer Banks recreation information at its best. Many annual events on the Outer Banks are legendary (as well they should be since so many significant firsts happened here). We celebrate our history and culture, food, holidays and the environment. We create annual events to cheer on local and visiting athletes; we march in parades; we support umpteen charity fundraisers. You’ll find everything you could possibly need for a great Outer Banks vacation experience. You’ll stay in fine accommodations, from Outer Banks hotels and motels to bed and breakfast inns to campgrounds to rental homes. 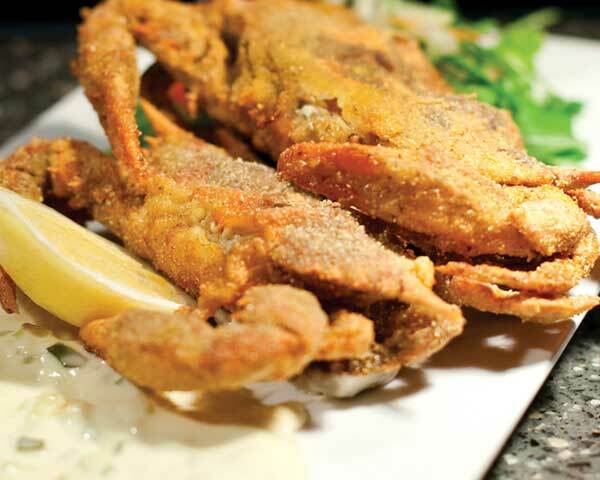 You’ll eat delectable fare in any of the Outer Banks restaurants. 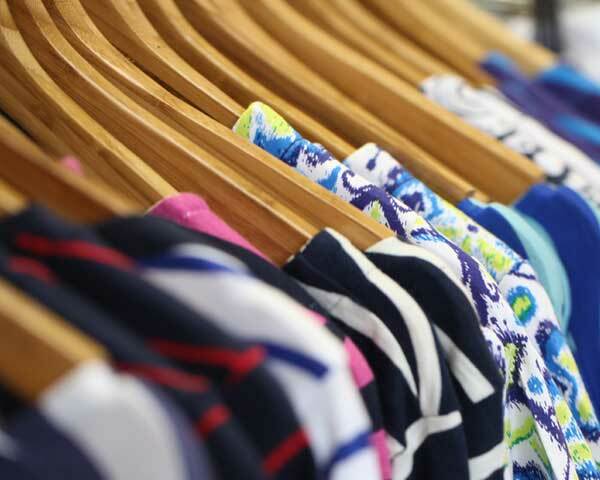 You’ll find everything you want and need in Outer Banks shops and stores, from groceries and souvenirs to bathing suits and water sports gear to gifts for the people you left back home. You’ll learn about the Outer Banks real estate market. Whether you plan to get out there and do everything — but we don’t think anyone could possibly do it all in one week! — or you plan to plop down in a beach chair and snooze your vacation away, we know you’re going to love the Outer Banks. Have fun planning out every detail of your visit through this site, your guide to the Outer Banks! The Outer Banks is the chain of barrier islands that are separated from the North Carolina mainland. They are bordered to the east by the Atlantic Ocean and sound waters to the west. The defined vacation area of The Outer Banks encompasses Corolla at the northern end to Ocracoke on the southern tip. 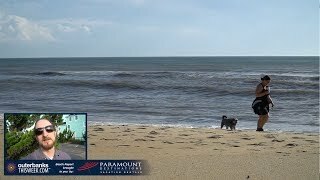 The towns included in the Outer Banks are Corolla (and the beaches north of Corolla reached only by 4WD beach access up to Carova), Duck, Southern Shores, Kitty Hawk, Kill Devil Hills, Nags Head, Manteo (on Roanoke Island, between the mainland and the beach island), Rodanthe, Waves, Salvo, Avon, Frisco, Buxton, Hatteras and Ocracoke. Do you have to take a ferry to get to the Outer Banks? No, the only part of the Outer Banks that requires a ferry ride (which is an enjoyable one!) is to Ocracoke Island. A free ferry takes you from Hatteras Village to Ocracoke, or you take a toll ferry from the mainland towns of Cedar Island or Swan Quarter. Otherwise, from the north and the west, you traverse the sounds on bridges. Arriving from the north, you travel through Currituck County, cross the Wright Memorial bridge and come into the town of Kitty Hawk. From the west, you cross the Virginia Dare bridge (the longest in the state) and exit onto Roanoke Island. From there, you either stay on Roanoke Island or head across the William Umstead bridge to Nags Head (only a few miles). What is the closest airport if we're flying in for our vacation? Depending on where you're staying on the Outer Banks, there are several logical airports for you to consider, Norfolk International (ORF) and Raleigh/Durham International (RDU). If you're staying from Kill Devil Hills north to Corolla, you might choose ORF because the drive from that airport to the northern entry point of the Outer Banks (Kitty Hawk) is only about 1.5 hours. If you're staying in Manteo or Nags Head, some choose to fly into RDU. The drive from that airport to Manteo is about 3 hours. Check flight times and prices; sometimes if you're coming from more West Coast areas, you have better choices into RDU. One other option that is becoming more popular is to fly into Newport News/Williamsburg International. This is a much smaller airport than either of the other two and is, thus, easier to negotiate and with shorter security lines. It's across the peninsula from ORF, but the travel time to the northern Outer Banks is still approximately 1.5 hours due to a bypassing interstate highway. Is the weather on the Outer Banks different from the rest of the state? Since these barrier islands are separated from the mainland and stick out into the ocean, several factors affect our weather. First, it's almost always windy here to some degree. This wind makes you feel cooler in the hot summer months and somewhat colder in the winter months. The surrounding waters also factor into our weather, keeping us cooler a little longer in the spring than, say, Raleigh and slightly warmer for longer in the fall. The Outer Banks is rainier than the rest of the state on average: NC average annual rainfall is 41 inches while that number is 58 inches on the Outer Banks. Then, of course, there are those dastardly hurricanes. Cape Point, which juts way into the Atlantic off Hatteras Island, is one of the highest-risk points on the entire East Coast for hurricanes, and as you probably know the Outer Banks gets our fair share of them, especially Hatteras. When they hit, we can experience ocean overwash, soundside flooding, high winds and pelting rains. But local forces work hard and quickly to get roads open and repairs accomplished so that the vacation trade is impacted as little as possible. Is the Outer Banks a year-round vacation destination? Yes, every month we welcome visitors to these islands. Some people have discovered that the spring and fall are beautiful times here with typically mild weather and far fewer crowds (lower prices at accommodations too!). In the dead of winter, you can't say that this place is hopping with vacationers, but there are still some who love the solitary, windy beaches and almost-no-traffic roads. Of course, summertime is king here when hundreds of thousands of visitors grace our shores. Don't even think about coming here on a whim on Memorial Day, July 4th or Labor Day weekends because you'll be hard-pressed to find a place to stay. That said, there are thousands of vacation rental homes, hotels, older motels, cottage courts, bed and breakfasts, inns, condos and campgrounds to accommodate our visitors, so if you plan ahead you can find your just right place. Many restaurant owners will take a break for a month of so during the first of the year, but almost all open again in March. And because of the year-round population, there are always choices for restaurants every month, just not all of them in the dead of winter. Same with shops. A small group of them will close for awhile during winter, but most now stay open year round. Seasonal activities, especially those that center around the water, definitely take time off when it's cold. But not matter what time of year you're here, there will be plenty of choices for where to stay, eat, shop and play.